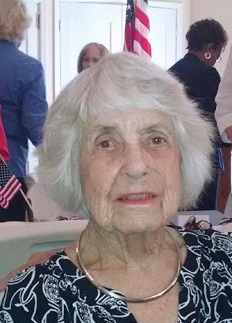 Charlotte Williamson Sandstrom, 94 of Albany, died Monday, February 11, 2019 at Phoebe Putney Memorial Hospital. Her funeral service will be Wednesday 11 AM at Covenant Presbyterian Church with interment to follow in Crown Hill Cemetery. Dr. Biff Coker officiating. Born and raised in Albany, Mrs. Sandstrom was a retired Dental Hygienist and worked with her father, Dr. H. H. Williamson in his orthodontia practice. She was a charter member of Covenant Presbyterian Church, a member of the D.A.R. and the Jr. League. She was preceded in death by her husband, John Edward Sandstrom, parents, Dr. H. H. and Mrs. Lenora Williamson, her sister, Isabel Grist and a granddaughter Gina Quattlebaum. Survivors include her son, Michael Sandstrom, Albany, daughter, Diana Quattlebaum Pickett (Jerry), Albany, grandson, Wade Quattlebaum, Albany, niece, Charlotte Moore (Butch), Blakely, nephew, Richard Grist, Jr. (Pam), Blakely. The family will receive friends Wednesday 10 to 11 AM at Covenant Presbyterian Church.